As part of the University of Bristol’s fantastic Postgraduate Open Day on 22 November 2017, the Bristol Doctoral College brought together a panel of four PGRs — from a mixture of faculties and at different stages in the research degree experience — and asked them to share their insights and experiences with an audience of prospective postgraduate students. Over the course of a stimulating half hour, chaired by BDC Director Terry McMaster, the panel reflected on how the PGR experience had changed them and offered some advice to others embarking on the research journey. The following is an edited transcript that stitches together some of the main points raised during the session. Milo Rengel, MPhil candidate (Classics). And, without further ado, here are their words of wisdom. Isabella: “For me, researcher development basically means that you learn a set of new skills that you just didn’t have before starting your PhD. And you might not even notice that you’re learning them, because you’re stressed out or you feel inadequate — those are two totally normal things. But you are definitely going to learn a set of new skills that you didn’t have before. They could be research-based, you could get networking skills that you didn’t have before, you just get writing skills or talking skills. “So if you end up with a research degree, you’ll end up with a unique set of skills that you’ll figure out that you got during that time. You might not notice it in the process of doing it — but, afterwards, you’ll be ‘oh, OK’. 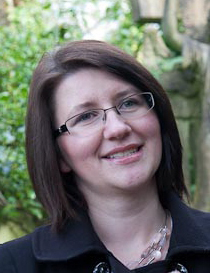 Jane: “One thing this PhD has taught me is the importance of collaboration, the importance of networking, the importance of engaging with people — because you cannot do it alone, you need people as much as they need you. “It’s like acquiring skills to make you a better you; a better person than you were. Milo: “The other thing that I’ve found useful, even in just my short time here, is that you develop skills that you kind of already had but were maybe just a bit unsure about. So, particularly in terms of research, or in finding knowledge, using that knowledge, applying theories, all that sort of thing. Sam: “Like Jane said, the more you get involved, the more you push yourself to challenge yourself, the more you get out of it. “It’d be easy to sit in your lab or your office and do research and not meet anyone — and go through your whole PhD doing that. And some people would do that, they’d be quite happy to do that. Jane: “Your proposal is supposed to give your supervisor a general idea of what you want to do. You could not know everything that you would do at that point, but it’s important that you have general idea of what you want to do. “And along this journey, that proposal may change. For some that change may be quite big, for some it will be quite small — and then you have different degrees. Milo: “I did apply with a particular research topic — and then, about two weeks before I’m supposed to start my course, completely changed it to something absolutely, completely different. “It was an area that I’d never really looked at before, and I went to my proposed supervisor with this new topic that I was completely unfamiliar with, but he still looked at it and said ‘there’s a lot of promise here, we’ll develop the bits we need to, we’ll cut out what doesn’t need to be in here, but there’s a lot of promise’. Sam: “When I was an undergraduate, I was quite successful. I got a first, I was doing quite well. I went to do a PhD and thought ‘oh, this is going to be easy, I’ll walk through this’. And there’s a lot of people who are the same level as you — or smarter. And you’re interacting with them a lot. And you do find times when your ideas will be challenged. A lot of the time you’ll be surprised how often you aren’t challenged. But if you are challenged, you will find that it’s not as bad as you think. “I think some of the situations where I’ve grown the most are where — with my research, or papers I’ve published, or conferences — I’ve been questioned thoroughly about what I’ve done and had to justify it. And sometimes I can’t justify it 100%. But if you can justify it 80–90%, that’s still good. Especially in academia, you’re never going to be able to satisfy everyone. Isabella: “I think one of the main obstacles [for PGRs] is if you learn something differently and then you kind of hold on to that too much. And research develops quickly, so you might hold on to something that’s old, that’s outdated — but, because you’ve learned that and you feel like you’re in control of that, you hold on to it. “So I think that’s one of the main obstacles, if you’re not open enough to input. Because you’re there to learn. You’re not there to know everything. You’re not there to end up with a PhD but say ‘oh, I could’ve got the PhD at week three because I know everything I know now’. Is it possible to condense everything that Bristol’s postgraduate researchers need to know into just 10 short points? Not really — but our little list is (hopefully) a good place to start if you’ve just begun your journey, or a handy refresher if you’ve been on the PGR path for a while. Do you think we’ve missed something major? If you do, please tell us in the comments. 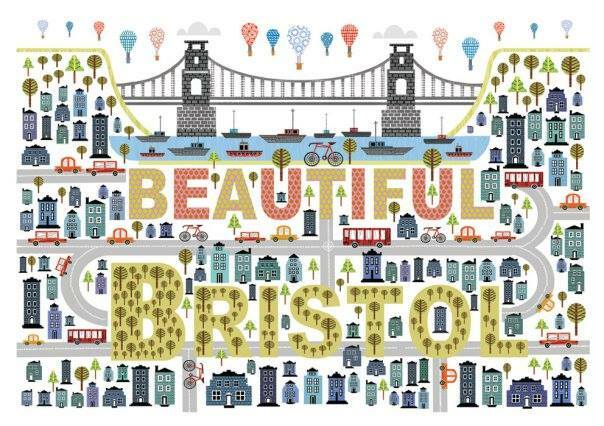 Bristol ‘crams in all the culture you could wish for’. Not our words — the assessment of the Sunday Times Best Places to Live Guide, which crowned the city as the best place to live in Britain in its 2017 edition. ‘We sum the city up as cool, classy and supremely creative,’ said Sunday Times home editor Helen Davies. Who are we to disagree with that? 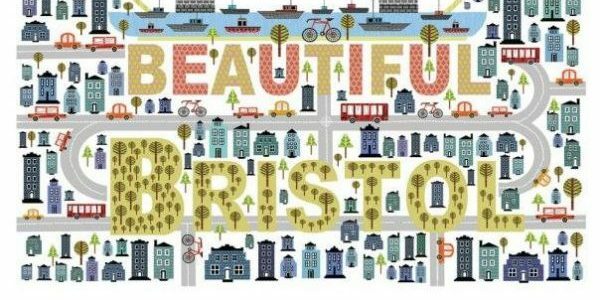 All research students automatically receive our BDC Bulletin, so you’ll get a round-up of what’s on in bustling Bristol — from film festivals to street-art strolls — every fortnight. Want to meet more of your fellow researchers and attend a wide range of events, including Pint of Science evenings, hiking expeditions to the Cheddar Valley (pictured above) or informal, fun get-togethers? 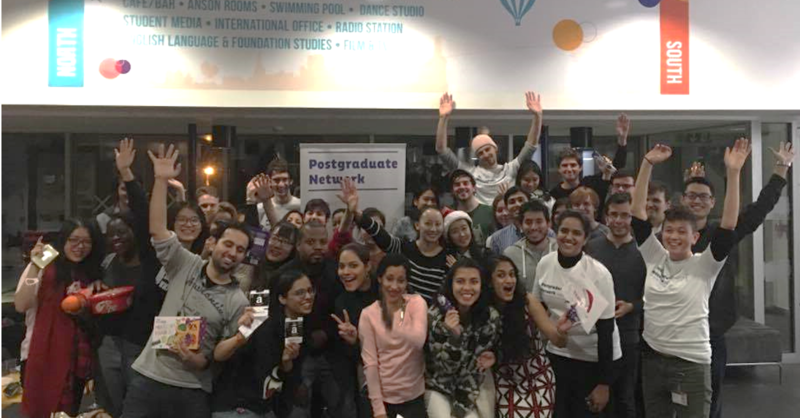 Joining the Bristol Student Union PG Network — a student-led initiative for all postgraduate students, both research and taught — is a great way to meet your peers and get involved in PGR community activities. To get started and see what’s available, join the PG Network’s public group on Facebook. According to the Times Higher Education World University Rankings for 2018, the University of Bristol is number 9 in the UK — a spot we’ve held for six consecutive years. 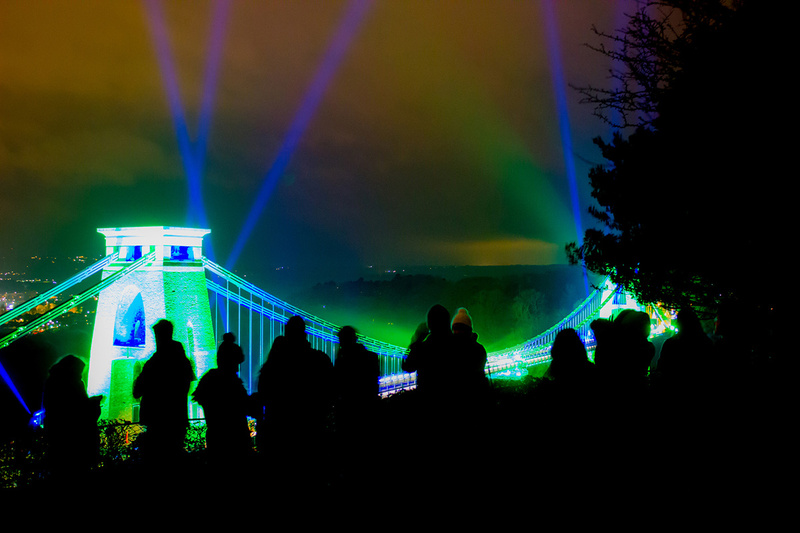 Globally, Bristol is one of only 12 UK institutions in the top 100 universities. All of which is just to emphasise that you are at one of the most popular and successful universities in the UK, and you should expect your time here to be both positive and productive. Postgraduate research is a marathon rather than a sprint. The BDC isn’t here just to cheer you on; we curate an extensive programme of training and events that’s designed to boost your personal and professional development, whether you’re just getting started, you need to maintain your momentum or you have the finish line in sight. 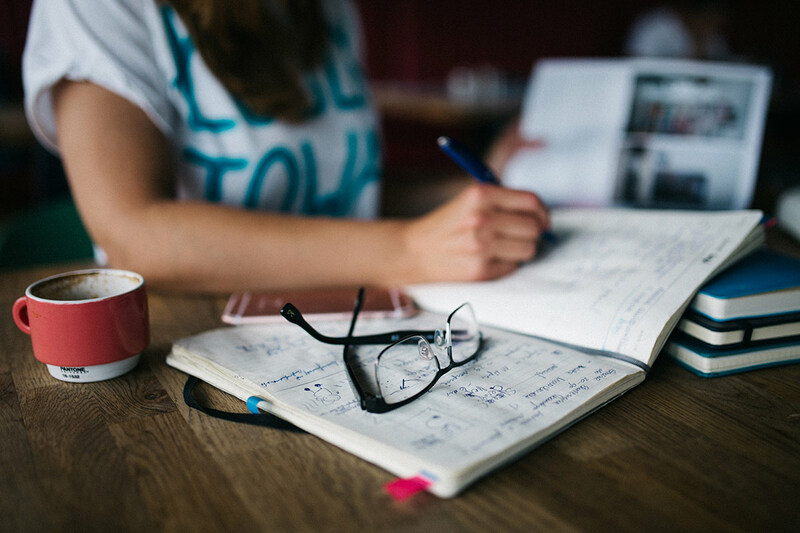 Visit the Personal and Professional Development section of our website to find out how you can sign up for useful sessions on everything from kick-starting your thesis-writing to relaxing with mindful yoga. Life as a PGR can be challenging. Immersing yourself in research, lab work or field work can be very productive — but it can also be isolating. Taking care of yourself, and seeking help if you need it, is an essential part of maintaining a positive and productive life as a PGR. If you need support, your supervisor will be your primary channel. However, a range of other services are also available — from the Expert Self Care app to the Students’ Health Service. Visit the Health and wellbeing section of the UoB website to see what’s on offer. Feeling daunted by your postgraduate research? The University has a resource that can help you. STaR (short for ‘Skills, Training and Review’) is an online tool that enables you to manage, plan and track your development. You can save your work, share drafts with supervisors and — thanks to a link with the University’s PURE system — develop a public research profile. Get a full overview of its features in the STaR section of our website. Imaginative, interactive — and just downright fun — Research without Borders is the University’s annual showcase of postgraduate research. 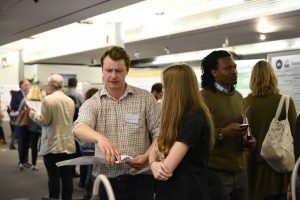 As a PGR, the festival gives you an opportunity to present your work to the public and connect with other researchers from all disciplines. 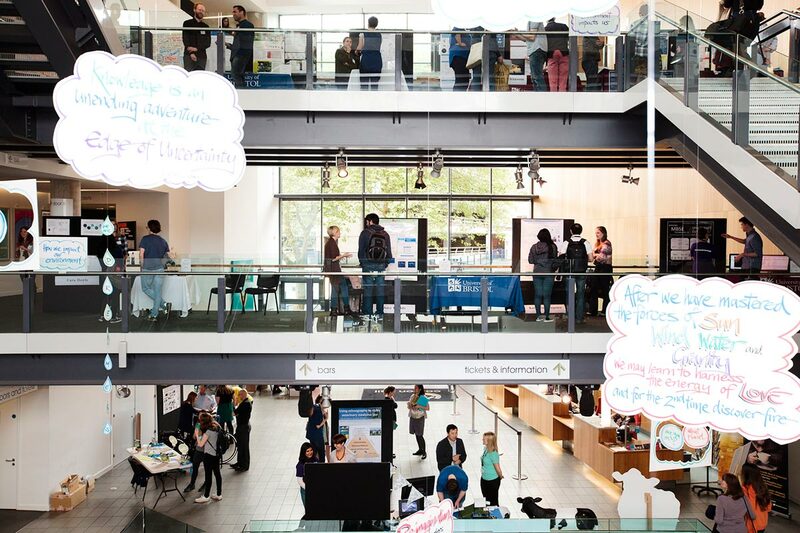 In May 2017, the special exhibition at Colston Hall that was held as part of the festival saw 74 postgraduate researchers showcase their work through interactive displays and activities. Visit the Research without Borders page for more details on taking part in the 2018 festival. Successful researchers know how to make their work discoverable and widely accessible. 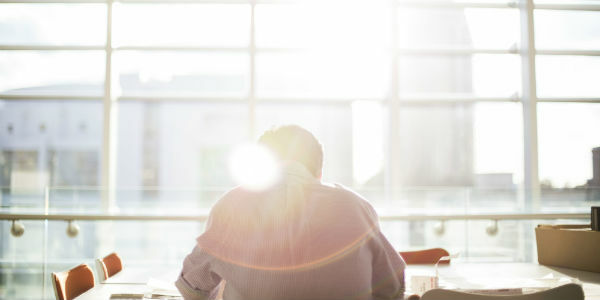 It’s not just good practice; it can help you establish a reputation early in your career. The first step towards becoming an open researcher is to sign up for a free ORCiD account — a unique identifier for researchers that means all of your work is associated with you, regardless of any name changes or variations. Once you’ve done this, you can learn about the online tools that interact with ORCiD and will help you boost your research reputation. Did you know that, as a Bristol PGR, you’re a member of the GW4 Alliance? 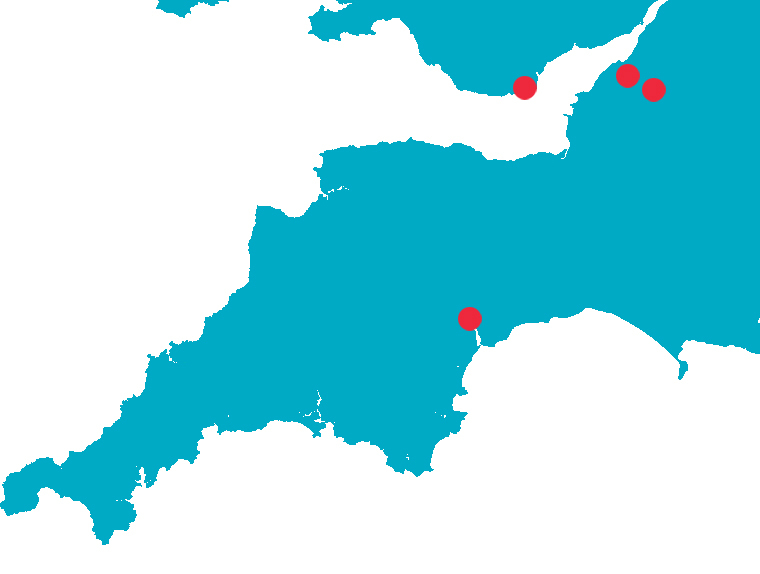 If you haven’t encountered it before, the GW4 Alliance is a partnership between four of the most research-intensive universities in the UK: Bath, Bristol, Cardiff and Exeter. The alliance has some tangible benefits for PGRs, including access to a collaborative network, expert training opportunities and shared resources. You can even access a wealth of rare and unique materials (the ‘GW4 treasures’) and a database of equipment. Visit the GW4 website to find out more. At the BDC, it’s our job to work with teams across the University to ensure that the PGR environment is the very best it can be so you can thrive during your research degree — and beyond. In short: we’re here to support and champion you. If you want to ask a question or flag an issue, please email us at doctoral-college@bristol.ac.uk or call us on (0117) 92 88105. Katiuska M Ferrer Portillo is a PhD student in the School of Modern Languages. Her research project focuses on the charting the influences and geography of the Bristolian dialect. She shared her experiences with us as a participant in both the Discussion Series and Showcase Exhibition events in this year’s Research without Borders festival. Although I am a mature student with previous experience in a legal background, and I have presented my work in conferences, youth charities, social clubs, community centres, and have further discussed my research on the local press, BBC Radio Bristol and ITV West News, the fact that English is not my native language made me feel somewhat uneasy and that I needed more training to hone my presentation skills. 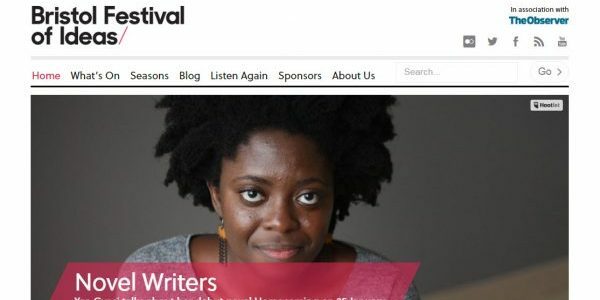 Hence why I decided to apply for both the Showcase Exhibition and the Discussion Series components of the festival. As a proud member of the University of Bristol research community, and I am aware of the high academic standard, prestige and recognition enjoyed by our University. However, I was not prepared for the excellence of each one of the speakers who led our training for the discussion series. Malcolm Love’s ‘Presenting your Research with Impact’ workshop marked a sea change in my presenting style. Thanks to Malcom’s advice, I learnt the importance of: warming up before presenting, dividing presentations in sections, how to apply a story-telling approach even for the most technical talks, and some good tips to calm my nerves – such as chewing gum for twenty minutes before presenting. After weeks of hard training and thorough preparation, the moment of truth arrived. The RwB week started with the first ever discussion series, ‘Changing perceptions, transforming identities’, and I was the very first presenter in a venue packed to the rafters with 100 people capacity, including my husband, my niece, my two PhD supervisors, lecturers from the School of Modern Languages, and several friends. No pressure there, then! So, there I was, nervous but with an adrenaline rush, trying to transmit to the audience the importance, usefulness and beauty of my research, while cracking jokes to conceal that the wrong set of slides appeared on screen! Thankfully no one noticed! Yet the training, preparation and my genuine passion for my work paid off. The presentation was a success. People who were unfamiliar with my discipline asked the most interesting questions during the discussion afterwards while we were enjoying our drinks. 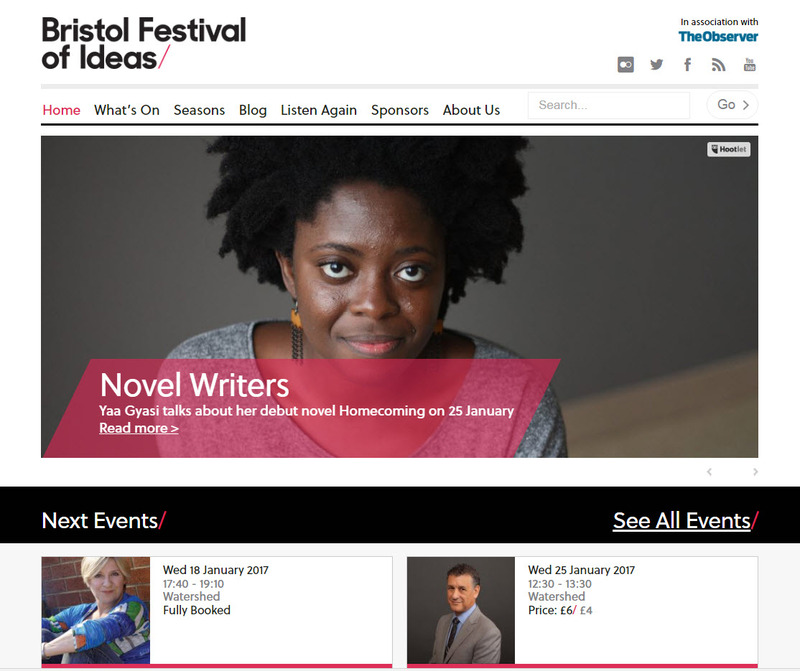 The experience has led to further interviews for the University of Bristol Facebook series, Bristol Faces; the Science Technology Today website; as well as my collaboration as an article writer for PolicyBristol. Yet the best was still to come. The Showcase Exhibition on Friday, 12 May kicked off with a vibrant atmosphere full of the energy and enthusiasm, the sort that only ideas, endeavour and hopes of young researchers can produce. Very rarely do science and humanities researchers get the opportunity to amalgamate their work. That day, a combination of vets, mathematicians, sociologists, engineers, physicists, biologists, physicians, lawyers, sociologists, anthropologists, historians, dancers, artists, literature researchers, and sociolinguists like myself, amongst others, had the chance to share their experiences and bridge the gap between academia and our local community. Thanks to the BDC, Colston Hall became this unique melting pot. As soon as I got to the Colston Hall, I started to set up my stand trying to put up a giant poster to a poster board, when Kitty Webster, one of the event organisers, asked me if I wanted to talk about my work with Made in Bristol TV. Of course, I replied “YES!”, and Kitty told me that the reporter was going to interview me 20 minutes after the opening of the showcase. I suddenly realised that I had just an hour to set up my stand and prepare my talk! The RwB presentation skills training proved to be a lifesaver, because it helped me to give a natural and professional interview about my research on Bristolian, with less than 60 minutes of preparation. That was indeed, the most exciting moment of the week for me! Lastly, but no less important, was my interaction with the general public, and the possibility I had to collect data from young Bristolian speakers, a group I was struggling to encourage to participate with my work. That was definitely a rounded day, but all good things come to an end, and after an exciting and diverse round of presentations for the 3 Minute Thesis Competition (3MT), the event finished, but not without a wonderful post show celebration, whereby the winner of the 3MT and the most engaging stands were chosen. I had the opportunity to make friends with engineers, vets, and biologists, a crowd that, as a sociolinguist, I do not normally mingle with, and once again, RwB made that possible. 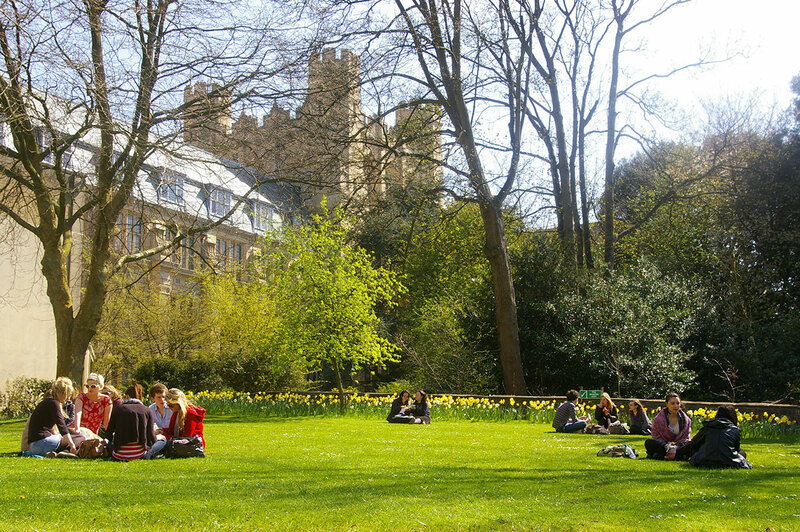 Thanks to my fruitful experience at the RwB event, I realized that the University of Bristol offers professional spaces like the BDC, where communication skills are a valuable asset, and this defined a breakthrough moment in my professional life, because helping people communicate their work with impact is a career path that I would like to consider in the future. Interested in applying for Research without Borders 2018? Visit the BDC website to read the FAQs and submit your application. The deadline is 11am on Monday 5 February 2018. Research without Borders 2017: check out the highlights! 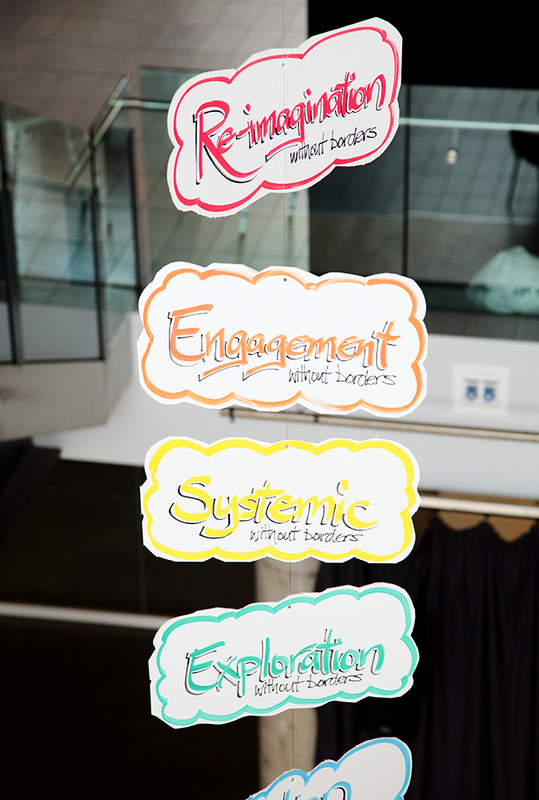 It’s over a month since our Research without Borders festival of postgraduate research took place across the Univeristy of Bristol and Colston Hall – so these highlights are a good reminder of what fun we had, how much we learned, and how hard our postgraduate research students are working each day of the week! Keri McNamara, a third year PGR student in the School of Earth Sciences, spoke to Myles Wickstead following his lecture on a life-long career in aid and development as part of the Cabot Institute lecture series. This blog has been reposted with permission by the Cabot Institute, and the original post can be viewed here. Ever wondered what a career in aid and development is like? Or how the world’s current development programmes came into being? Look no further than this blog on Myles Wickstead who gave a Cabot Institute lecture and short interview on his reflections and experiences on a colourful career in aid and development. Among Wickstead’s notable achievements are a position as head of British Development Division in Eastern Africa, coordinating a British Government White Paper on eliminating world poverty and now being an advisor to the charity Hand in Hand International. An audio recording of Myles lecture can be found above. His talk focussed largely on the inception of the building blocks of international development; the UN, the World Bank and the International Monetary fund. He began by turning back time towards the end of the second World War, in which the atmosphere of global reconciliation bred the need for trans-border institutions such as the UN that had the oversight necessary for peace to prevail. Wickstead went on to add that a large parts of the Millennium goals were generally quite successful although there was still plenty of scope to be more inclusive. He also dwelt on the new Sustainable Development Goals drafted by the UN in 2015 and the Paris climate summit which, Wickstead claims, represent a much more integrated approach to propel international development into the future. You mentioned a fair bit in your talk about the importance of tying in environment sustainability with aid and development. How do you see that working in practice in a developing country when sustainable practices can be sometimes be quite anti-economic? Yes, the two things are brought together in the Global Goals for Sustainable Development agreed in New York in September 2015. Let’s take an example of a country that’s well-endowed with forest resources. They could get rich quickly by chopping down the trees and selling the wood. You can’t expect those countries to simply say ‘we are not going to chop our forest down’. Firstly you need them to realise that for the long-term sustainability of their country they need to preserve the forest. But second, because maintaining the forests helps protect us all from climate change they rightly expect some compensation from the international community to do so. There are (albeit imperfect) mechanisms in place for this. Despite this I do, on the whole, think they are being successfully implemented: take Brazil for example. There are also examples where – often without the consent of the government – indigenous forests are being cut down to make way for palm oil plantations, with devastating consequences not only for the trees but the wildlife. In these situations, governments need to be encouraged to take firm action against the individuals or companies concerned, again with support from the international community as and if appropriate. I work on volcanic hazard in Ethiopia and one of the things I’ve noticed is the more wealthy urban areas are developing fast with an expanding middle class, but the more rural areas are still subject to a lot of extreme poverty. What part should external aid play in helping this wealth filter down? It’s a very important question and one I touched on when talking about the Millennium Development Goals (MDGs) which were in place from 2000-2015. That period saw extraordinary progress, including halving the proportion of people living in absolute poverty, but many people (for example, those with disabilities or from ethnic minorities) were left out. It is also the case that urban areas, with generally better infrastructure and more job opportunities, tended to make faster progress. A lot of people in rural areas were in very much the same position in 2015 as in 1990. Within Ethiopia, a combination of rapid economic growth – supported both by investment and aid – and good policies mean that the benefits are now being felt more widely. The role of Chinese investment in infrastructure, particularly roads, has I think been quite a positive one. The Government of Ethiopia has a very clear five year growth and investment plan and they expect their partners to deliver; I remember one case of former Ethiopian Prime Minister Meles requiring a Chinese company to rebuild a road they had just built as it was not up to standard; I am sure they were equally exacting of other companies from other countries. Not all African governments have that kind of determination but on the whole I think Chinese engagement has been a good thing. And the fact that Africa was largely unaffected by the global recession following the crash of 2008 was not only because it was not as connected to the international financial system as other parts of the world, but also because China and other countries in Asia continued to buy its raw materials. What influenced your decision to have a career in Aid and development? I had lived and travelled overseas a little. My father was a marine biologist and as a technical expert worked for the predecessors of DFID and lived and worked overseas in places like Singapore, Tanzania, and Jamaica. So I probably got some of the wish to live and work overseas from him – though alas didn’t inherit the science gene, which passed me by! 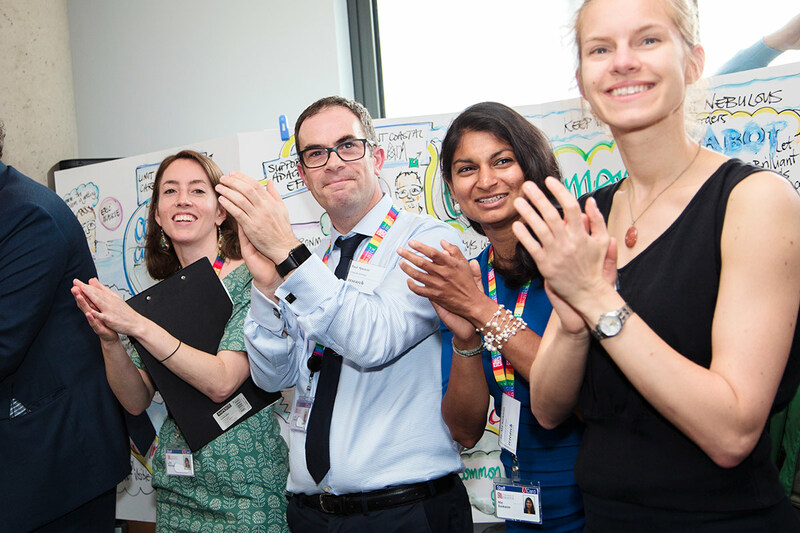 I went through the civil service fast stream process, and having successfully negotiated that had to make a choice about which Department I wanted to join. It was then the Ministry of Overseas Development; a few years later became the Overseas Development Administration of the FCO; and in 1997 became a fully-fledged Department of State with its own Cabinet Minister. Interestingly, DFID remains the most popular choice of all government departments for fast-steam applicants. Is there a defining moment in your career you want to mention? I have been extraordinarily lucky in the choices that I have made – or have been made for me – in terms of where I was at particular time. To have had the chance to run a regional office in Africa; to have been on the Board of the World Bank; to have worked closely with Ministers both as a Private Secretary and in coordinating the 1997 White Paper (the first in 24 years); and to be Ambassador to Ethiopia and the African Union – it was a huge privilege (and very hard work!) to be given these responsibilities. I ran the Commission for Africa Secretariat in 2004/5, and I suppose one of the great moments was going to present a copy of the Commission’s Report ‘Our Common Interest’ in 2005 to Nelson Mandela. Someone asked earlier today- how do you keep positive despite the gloomy state of much of the world? My answer would be that the world has made extraordinary progress over the past quarter of a century in pulling people out of poverty, and that we have a real chance of completing the task, in line with the Sustainable Development Goals, by 2030. Of course there have been setbacks along the way, and there will be more – conflict and environmental challenges to name but two. But with political will, and by maintaining a positive focus, I believe we can aspire to a better world both for ourselves and for future generations. The Bristol heat of the international competition for communicating science asks working scientists and technologists to explain something about science in just 3 minutes. Kate spoke about the science of hairstyling and shape memory polymers, and is one of 4 to progress to the Regional final, which brings together talent from across Wales, the Midlands and the Southwest. Famelab [http://www.cheltenhamfestivals.com/about/famelab/] is a communications competition where entrants have no slides and only the props they can carry on with them. Participants begin with local heats, then work their way up through region and national to the international final at Cheltenham Science Festival. Taking part in Famelab has kickstarted the careers of many presenters and performers, from musicians to more traditional explosion-based science demonstrations. Of 8 entrants into the local heat, 4 went through: in addition to Kate, Alex Lathbridge, Lon Barfield, and Alex McCleod will be joining another 10 at the Regional final, to be held in March. It’s free, and all are welcome to come down, watch, and offer their thoughts. This post was originally published on the BCFN website, and can be viewed here. 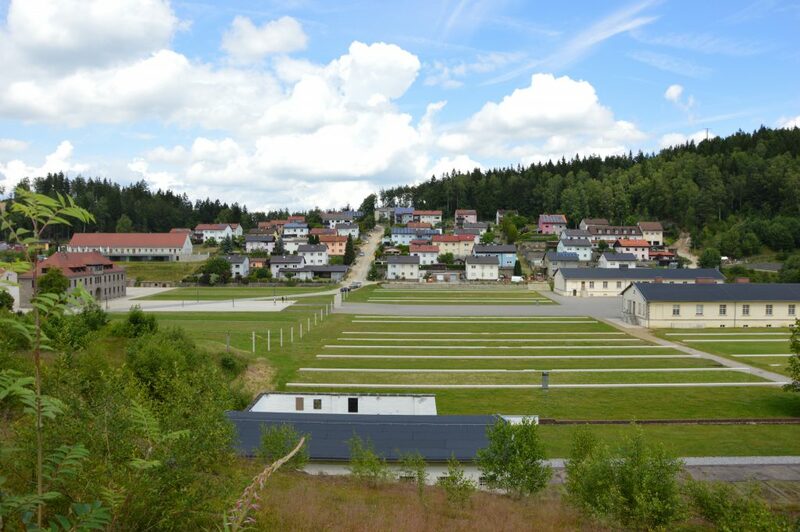 Doreen Pastor, a PhD Student in German, travelled to Germany to collect fieldwork this summer. 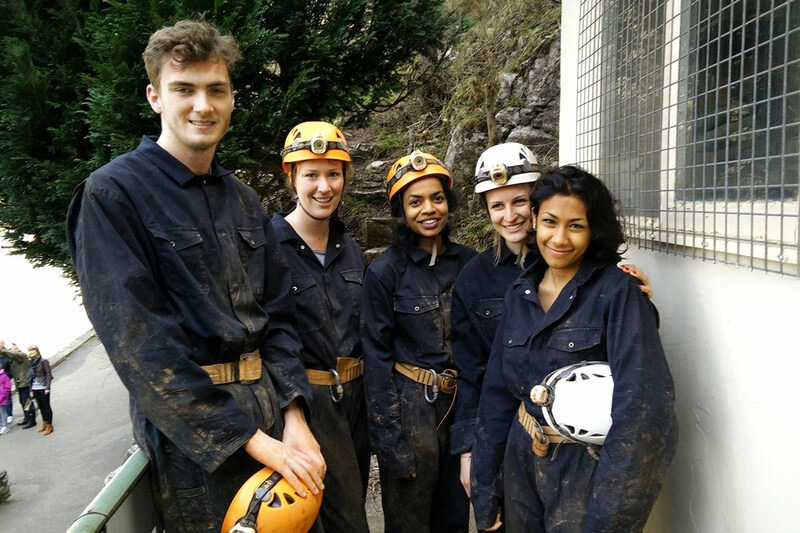 She recounts her trials and rewards, and offers a couple of tips for postgraduate researchers preparing to go out into the field themselves. I am a part-time student in German Studies researching how visitors engage with ‘challenging’ histories at memorial sites in Germany. This required spending an extended period of time in Germany talking to visitors at the concentration camp memorials Flossenbürg and Ravensbrück, the Holocaust memorial House of the Wannsee Conference and the former Stasi prison Bautzen II. So, with my clipboard in my hand, I set off to Germany in June 2016. I was incredibly anxious at the airport with all these thoughts going through my head. “Will the survey I prepared work? Or more importantly, will visitors actually talk to me? 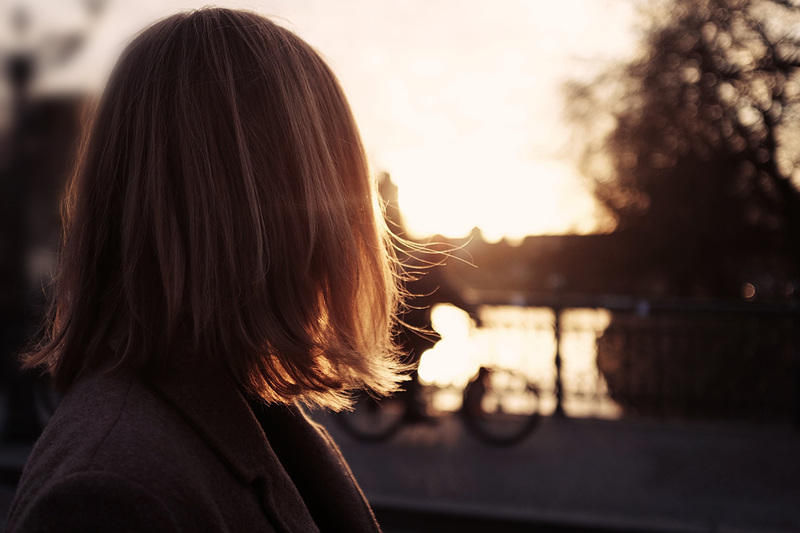 !” I was also wondering how I would cope with living in Germany for four months, something many of my friends could not understand as Germany is my home country. I moved to the UK eight years ago and although I have been back since, the UK felt much more like home now. By the time I completed my research at Ravensbrück (my 2nd case study), a former concentration camp predominantly for women, my own mental health started to be affected. I had completely underestimated the impact of the loneliness during fieldwork combined with spending significant amounts of time at sites which represent one of the darkest chapters in human history. There were times when I was close to giving up, especially when I went to my 3rd site, the House of the Wannsee Conference, where my living arrangements (student residence halls) were awful. Thankfully, Germany’s summer weather had significantly improved by then and I was able to spend the majority of my time outside, so I could cope with the unpleasant living situation for a month. My final case study was the former Stasi prison, Bautzen II, in the East of Germany. Interestingly, this was a return to home territory for me, as I am originally from East Germany. It was tough to conduct research in a former Stasi prison, as the history is so close to my own family history (my uncle was imprisoned by the Stasi albeit not in Bautzen). However, it was also an incredibly humbling experience as I met a few former prisoners who talked to me about their own experience of having been a political prisoner in the GDR. In fact, one former prisoner said to me “Your PhD is so important, we need to know how we can engage with visitors in the future when we are no longer here.” This comment gave me a much needed dose of motivation after four months of hard work. I completed my research successfully in October, and was even invited back to Ravensbrück for a presentation to the staff team about my visitor research. 1. Don’t take setbacks personally – unfortunately the nature of primary research is that it includes ups and downs. 2. As tempting as it is to keep on working, schedule regular breaks – these are vital for your physical and mental health. Thomas O’Shea-Wheller is a final year PhD student in Biology. He studies the behaviour and social organisation of ants, with a particular interest in how complex collective behaviours may emerge from simple rules at the individual level. His research has been featured on the BBC, PBS and Wired, among others. Photo credit: Mengqiong Zhou. From the moment I started my PhD, I knew that I wanted to engage people with my research. After all, that was how I first became interested in science; by learning about the work and discoveries of others, and so I was eager to elicit those same feelings of enthusiasm that I had felt as a child. The only problem was, I had no idea how to go about doing it. Initially, it was far from clear which of the many avenues of ‘public engagement’ were actually worth the time and effort, and besides that, if anyone even cared about the work of a PhD student. After doing some research, however, it became apparent to me that much of the exposure that could be received in science was dependent upon making your work accessible, rather than upon its exact subject. Such a revelation could at first seem like a bad thing; after all, shouldn’t research be ascribed coverage based on its merit and scientific significance alone? In fact, what it means in practice, is that all scientists have the potential to intrigue and fascinate others with their work. Of course, ground-breaking discoveries are guaranteed to receive ample attention, and justly so, but with the right approach, so can more modest advances. There is, however, one caveat to achieving this; you need to be able to crystallise precisely what makes your work interesting. I’ll admit that I consider myself fortunate in this regard; my area of research, the collective behaviour of ants, is relatively relatable and easy to explain, since most people have at least heard of the industrious insects. That said, whether you study trans-membrane receptors, or the self-organising properties of chemical compounds, it matters not, as all research has one uniting faculty that lends itself well to public engagement. Specifically, if you are investigating anything scientifically, it is because you hope to find something of use, or at the very least, something novel. This—by its very nature – is going to be intriguing to people, and all that you have to do is explain it in a way that will foster understanding. Making your science accessible is, somewhat ironically, more akin to an art; a delicate balance between removing unnecessary complexity and avoiding an overt ‘dumbing down’ of the core concepts. The best advice I can give is to focus upon isolating the central points or messages that are most important to a piece of research, while doing so in as straight-forward a manner as possible. A distillation, so to speak. Once you have some practice in summarising your research effectively (and practise you will need), the final piece of the ‘puzzle’ concerns how best to disseminate your findings, in order to reach the people you wish to engage. The answer to this really depends on your personal aims and target audience, do you want to inform the general public? The scientific community? Or perhaps a combination of both? Activities such as science demonstrations and talks to schools are a great way to gain experience, and most institutions provide ample chances to do both. However, if you truly wish to reach the widest audience, and make a lasting impression, publication of your work is key, as it paves the road to media coverage. It goes without saying that in an increasingly technologically-centred society, digital media really does form the heart of any effective promotion or engagement strategy. So, how can you go about getting such coverage? It is often a lot easier than you might think. If there is one key point to take away from this post, it is that preparing and disseminating good quality press releases is probably the most important factor in increasing the media impact of your research. The good thing about this, is that it is relatively easy to do; simply contact the relevant journal prior to the publication of your article, and discuss putting together a statement. Furthermore, you can ask the same of your university’s press office, as they will often distribute a summary of your research in tandem with the journal, and are usually more than happy to do so. Just ensure that you are not idle. The reason I bother to mention this, is that it is something that it is so rarely taught, or even mentioned, but has a massive impact; an effective press release can literally mean the difference between a national headline, and a complete lack of interest. Put simply, by the time you are publishing a piece of research, you have already invested (often very) considerable effort into it, so why neglect the final stage, when it may determine whether anyone actually reads it? Fortunately, there is now a promising trend towards more awareness on the part of PhD students when disseminating their research. Student press-groups, and better information relating to the benefits of press coverage, have become markedly more common in the few years since I began my PhD. Still, there is a lot to be said for actively promoting your own work; do not be afraid to contact the press offices of journals and institutions alike. If they are going to publish your work, ensure that they promote it as well. On a parting note, the more practice you have, the better you will become at it, and in terms of the cost-benefit trade-offs (apologies, I am a biologist) I can think of few other public engagement activities that are so rewarding. Posted in PGR StoriesTagged #brisphdlife, Personal and professional development, Postgraduate Research, postgraduate researchers, Public engagement, publications, research communications, science communications1 Comment on Want to engage?